You can’t have a party without mini meatballs. Thanks to the combination of turkey and beef, these ones are very light, but packed with flavor. Makes about thirty balls. Serve alongside sauce of your choice – I prefer melted butter with a sprinkle of Parmesan. 2. Gently combine all ingredients – except olive oil – and form mixture into 1 inch balls. 3. In large pan, heat oil over medium-high flame. When oil is shimmering, add meatballs to pan, cooking in several batches if necessary. 4. 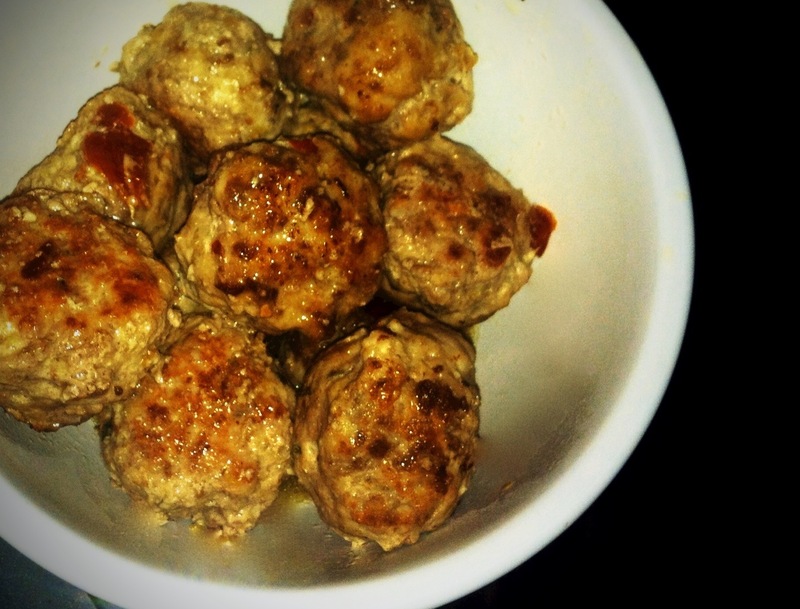 Cook meatballs until lightly browned on both sides, then remove from pan and set aside. 5. When all meat balls are seared, place in baking pan. Pour water halfway up meatballs and cover with foil. 6. Bake until cooked through, about 10 minutes. Meatballs are done when a toothpick comes out clean.